← What Should I Do ? 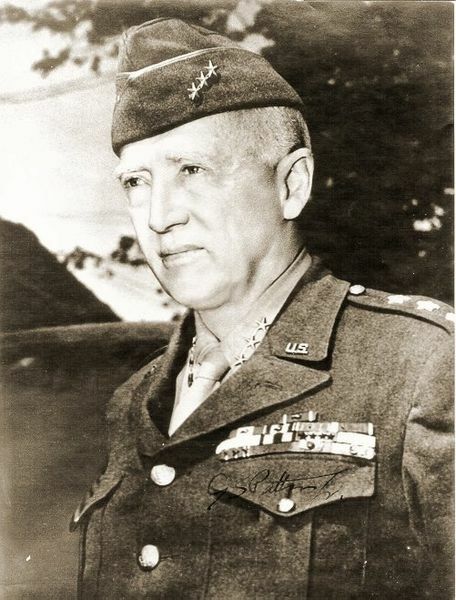 It is said that World War II military hero, George Patton, couldn’t or wouldn’t control his temper as a young officer. Patton once ordered a mule shot. Why? It had gotten in the way of his jeep. He forced members of an antiaircraft unit to stand at attention for being sloppily dressed, despite the fact that they had just beaten off an attack and some of the men were wounded. In one notorious incident, he slapped a hospitalized, shell-shocked soldier, and denounced the man for being a coward. Soon after that incident General Eisenhower, his commanding officer, ordered him to publicly apologize to the soldier, postponed his promotion to general, and put him on probation as a commander. To the surprise of many people, General Patton had no other incidents for the remainder of the war. For two years Patton controlled himself. He received his promotion and went on to win many battle for the remainder of WWII. This behavior-this control- was something that was always in him , but he never was given a real reason to do so until his commander called him to account. God has placed inside each person all that we need to exercise self-control and forgiveness. In order for us to be all that we can be we need accountability and motivation, the likes of which comes from being a part of a church. Jesus , our Lord, calls us to account.